Dr. Osborne was a founding member of a leading vascular center in the Pacific Northwest where he and his partners handled all disciplines within vascular pathologies. Dr. Osborne grew up in Tacoma, graduating from the Charles Wright Academy. After obtaining a degree in chemistry from the University of Washington, he attended medical school at George Washington University. He pursued his surgical residencies at the University of Colorado and the University of Arizona where he had training in Vascular Surgery. Following his training, he moved back to Tacoma where he established an active Vascular Surgery practice for the past 31 years. Dr. Osborne was a founding member of a leading vascular center in the Pacific Northwest where he and his partners handled all disciplines within vascular pathologies. Most recently he has nurtured an interest in evolving his practice to manage functional and cosmetic problems associated with varicose veins. 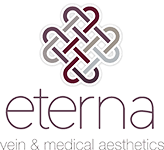 Under Dr. Osborne’s leadership, Eterna opened its doors in June of 2013 offering a comprehensive array of office based modalities to evaluate and treat venous system problems. Outside of the office, Dr. Osborne enjoys participating in outdoor activities such as bicycle riding and skiing and dabbles in salt water and fresh water fishing. In addition, he and his wife Karyn actively support and enjoy the Northwest Sinfonietta, Tacoma Art Museum, and LeMay Museum.